Group lessons are $20 for a drop-in and $70 for a 4-week cycle. Please bring cash or a check to class. This is the perfect class for students with no prior dance experience. 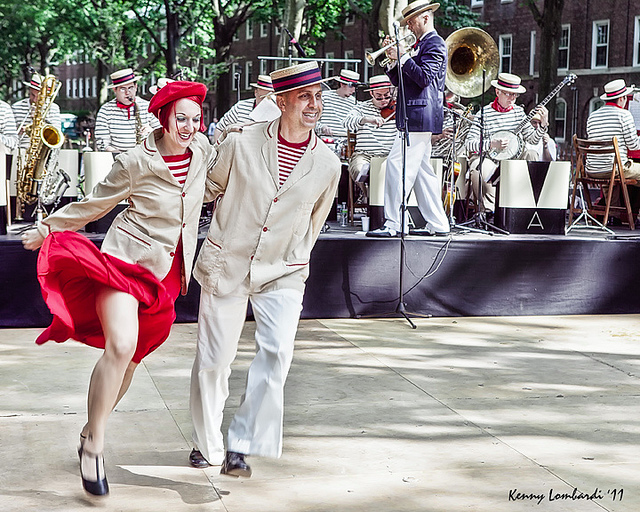 We will cover the fundamentals of partnered swing dancing - footwork, rhythm, leading and following. We will start with 6-count steps (East Coast Swing) and work our way to 8-count steps (Lindy Hop). This class will help you feel comfortable on the dance floor, and confident with any partner. Students that are comfortable with Lindy hop and Charleston fundamentals will enjoy this class. You will learn new moves, rhythm and footwork variations. We will blend turns, Charleston kicks and solo jazz moves with lindy hop to create a strong foundation of fun and varied dance moves. We might even try an aerial or two! You'll learn moves that will look great at any swing social. This class will focus on the foundations of the Lindy Hop such as the swingout, Lindy Circle, Charleston and breakaway jazz steps. We'll get you comfortable with mixing 6-count and 8-count steps while keeping to the music. Understanding these will level you up as a dancer - you'll be able to pick up new patterns with ease, and start to vary your dancing on the social floor. Q. I don't know how to dance. Can I still take a class? Yes! Roddy's intro to swing lessons are open to everyone, regardless of dance experience. We will start with fresh material at the start of each month, so you're welcome to join during the first two weeks of any month. No you don't need a partner. Both singles and couples are welcome. We rotate partners throughout the class to give everyone the opportunity to dance with different partners and make new friends. Q. What should I wear to the dance lessons? 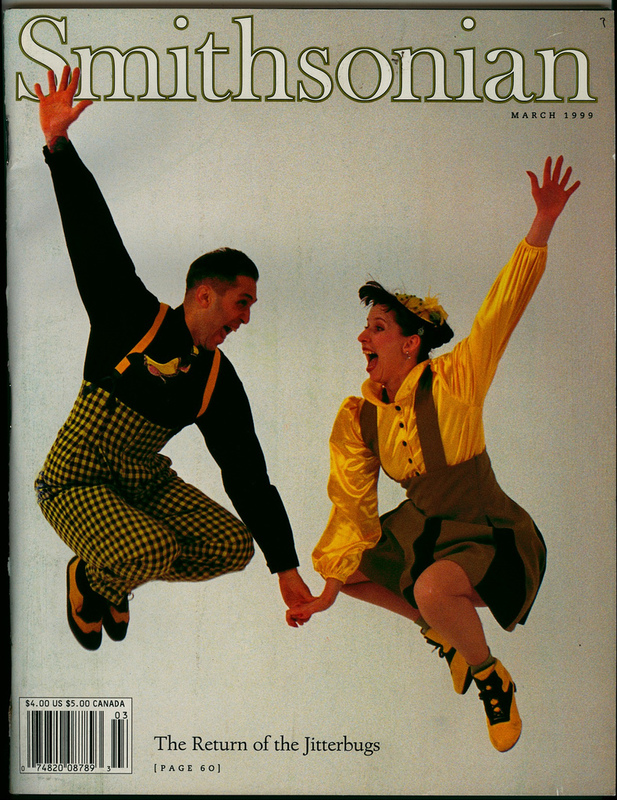 Swing dancers dress in various styles. While we don't encourage gymwear, it is a good idea to dress in casual clothes that you can move in and don't mind getting a little sweaty. Occasionally, your classmates will dress in vintage. This is never required, but it adds to the atmosphere, so feel free to join in. When you're starting out, don't worry about buying dance shoes. Simply pick a pair of comfortable shoes out of your closet. You may want to pick a pair that'll slide a bit on the dance floor, so you have an easier time turning. Conventional sneakers are fine. Eventually, you'll want to invest in a pair of dance shoes. Q. Can I take private lessons? Yes, Roddy is available for private lessons during the week and on weekends. 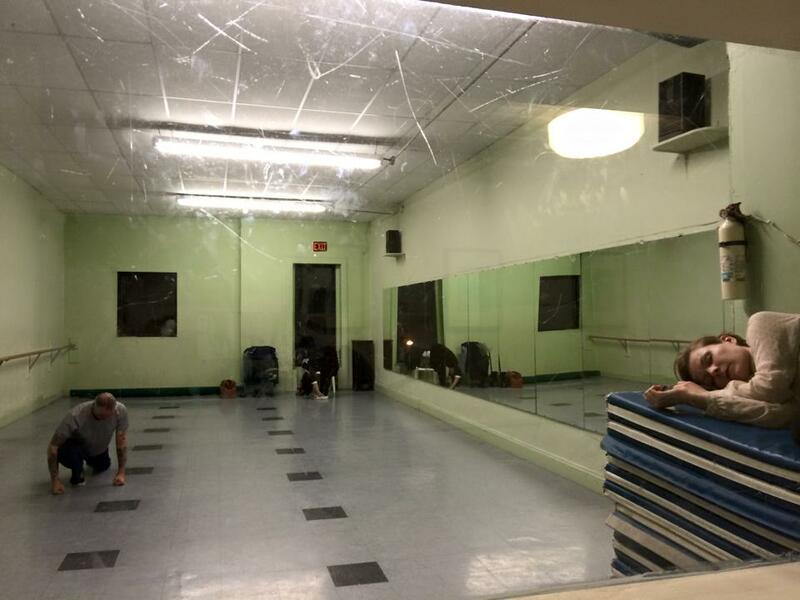 Rates start at $125/hr at the Albee School of Dance. Contact Roddy to inquire further or for other arrangements. Q. What about choreography and weddings? Roddy has been choreographing dances at weddings and parties for many years. 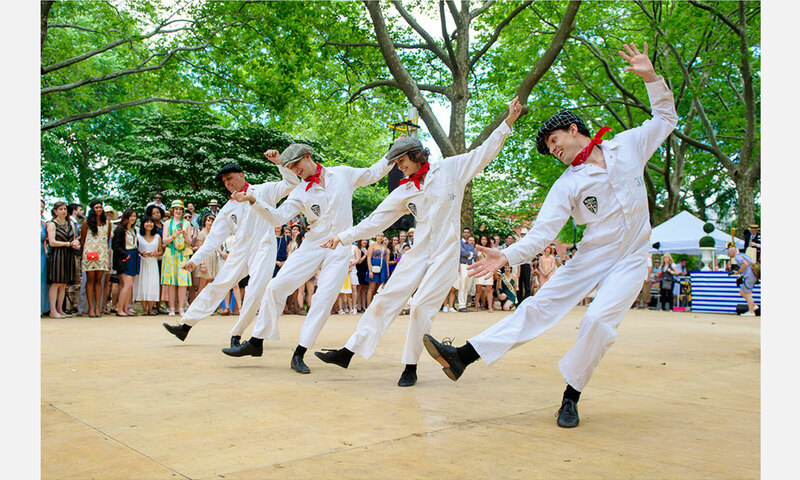 Check out Roddy Caravella and his Canarsie Wobblers performing at the Jazz Age Lawn Party for a sample of his choreography. Contact Roddy to inquire further. 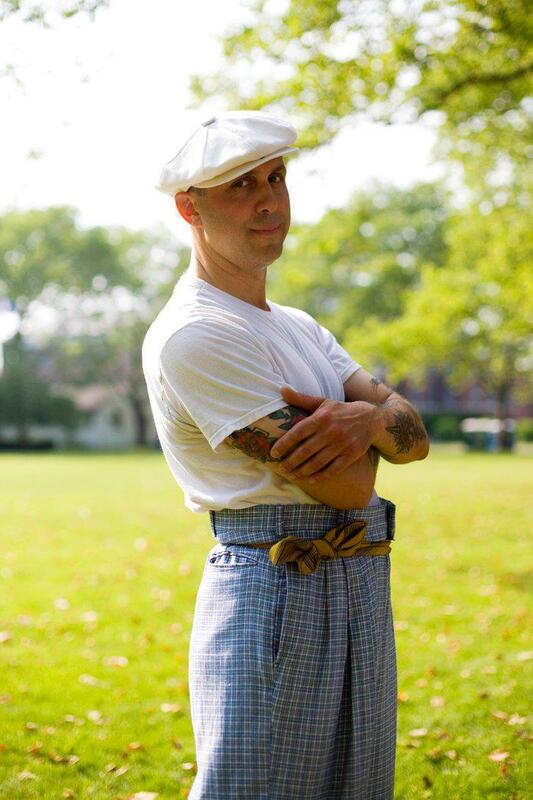 Brooklyn born Roddy Caravella is Charleston Charlie. He has been teaching and performing social jazz dances for the past 20 years. Trained under world-renowned dance greats, such as Frankie Manning and Sandra Cameron, Roddy is a choreographer who specializes in many early jazz dances. Known not just for the historical authenticity of his dancing, Roddy has a reputation for meticulous attention to accurate period attire. 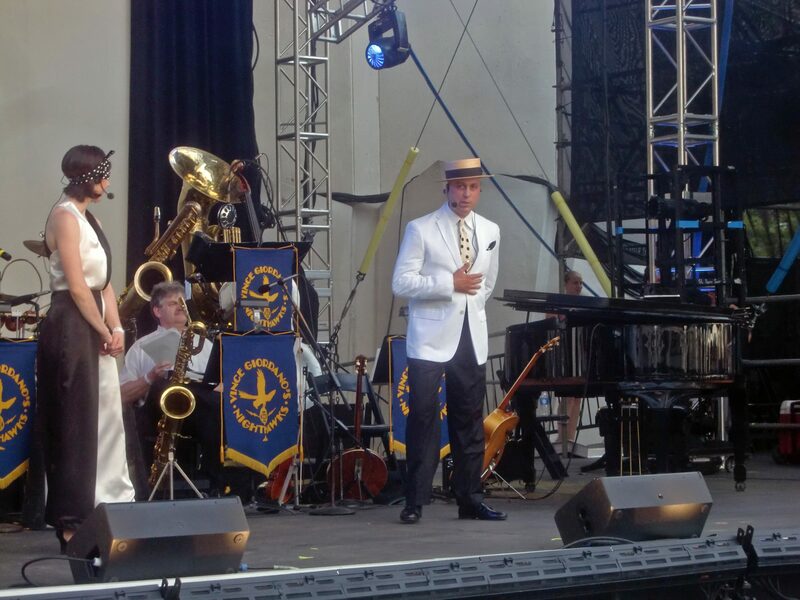 Mr. Caravella and his ensemble, The Canarsie Wobblers, regularly perform dances of the 1920's with Michael Arenella and his Dreamland Orchestra. 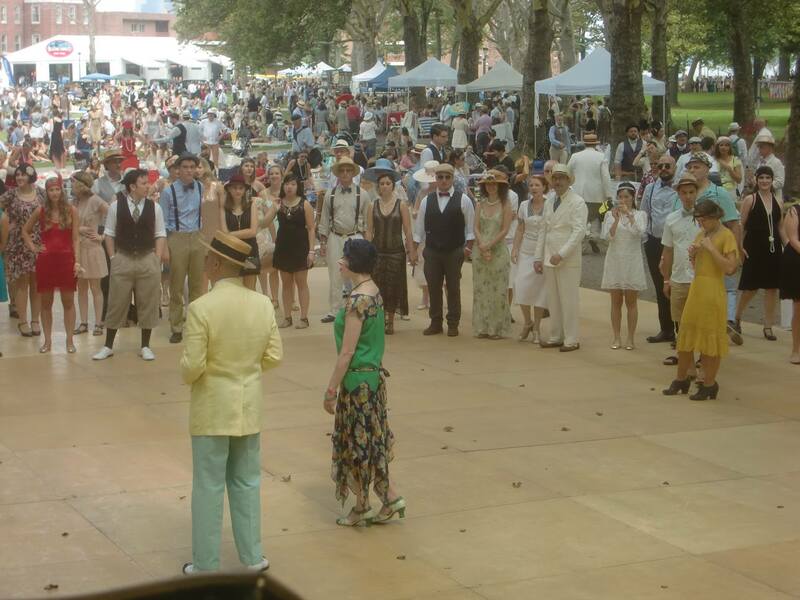 In fact, the group was born at the inception of the Jazz Age Lawn Party on Governor's Island. 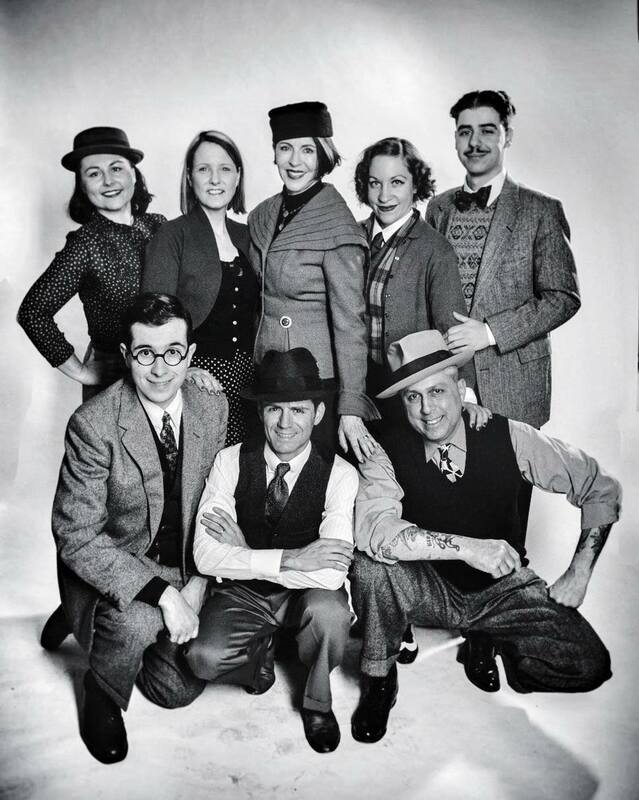 Roddy is also a member of the Lindy Hopper All-Stars. Mr. Caravella's dance career has brought him all over the United States and abroad where he has performed in TV specials with Tony Bennett, three seasons of a stage tour with Swing Dance America, the show Swing on Ice in Hong Kong, Lincoln Center’s Midsummer Night’s Swing, a PBS Veteran’s Day special aboard the USS Intrepid, Sleigh Bells Swing on Broadway at the Edison Ballroom with the George Gee Orchestra, and the presidential inaugural show Let Freedom Swing at the Kennedy Center in Washington DC with Wynton Marsalis and the Lincoln Center Jazz Orchestra.